First off if you have any fear of heights what so ever, it is probably best that you stay away from this hike. 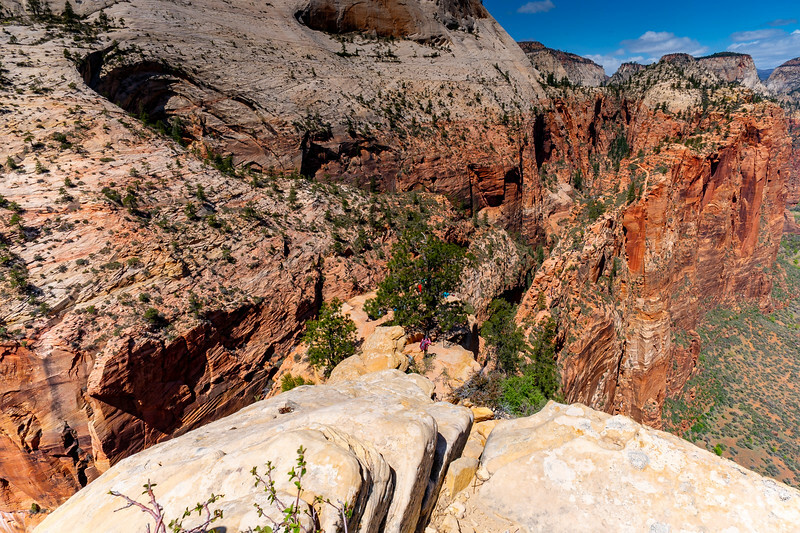 This hike has multiple sections that are only a few feet wide with over 1,000-foot drops on either side. Then to compound the crazy narrow parts with large drop-offs on either side, throw in large crowds of people who may be impatient waiting their turn to pass. 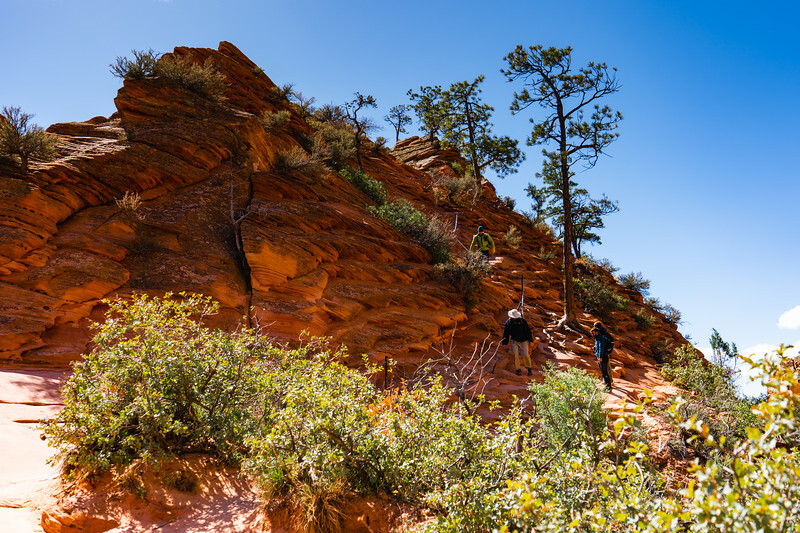 If you do not have a fear of heights or you would rather just read and look at pictures of this hike, let's continue. 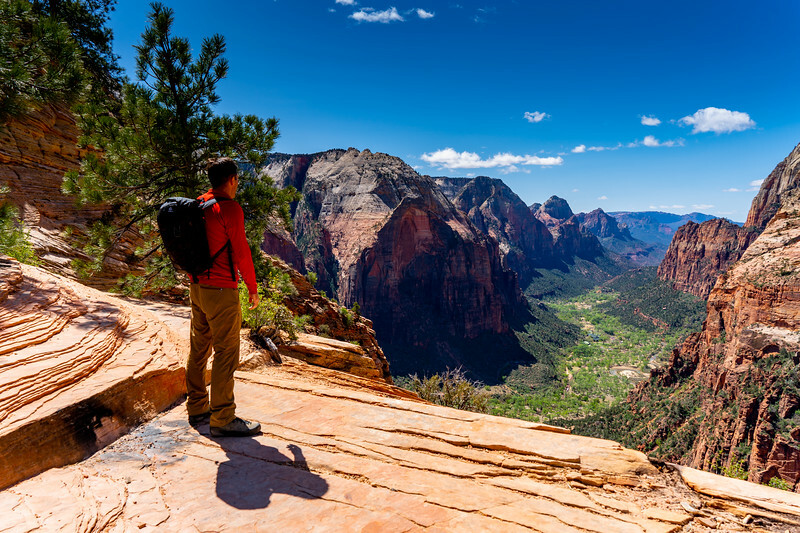 This hike is in beautiful Zion National park and is only about 5 miles round trip. That is 2.5 miles up and 2.5 miles down, but allow more time than you think. The steep climb can get you tired and the crowds of people, on extremely narrow sections will have you waiting to continue. 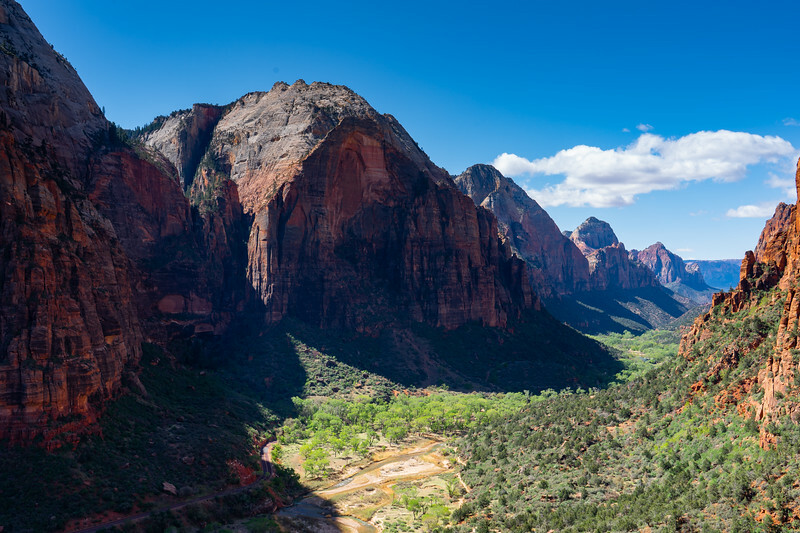 With that said, check the bus schedules into the park and try and catch the first bus, or wake up early and bike to the trailhead at the grotto to try and beat the crowds. 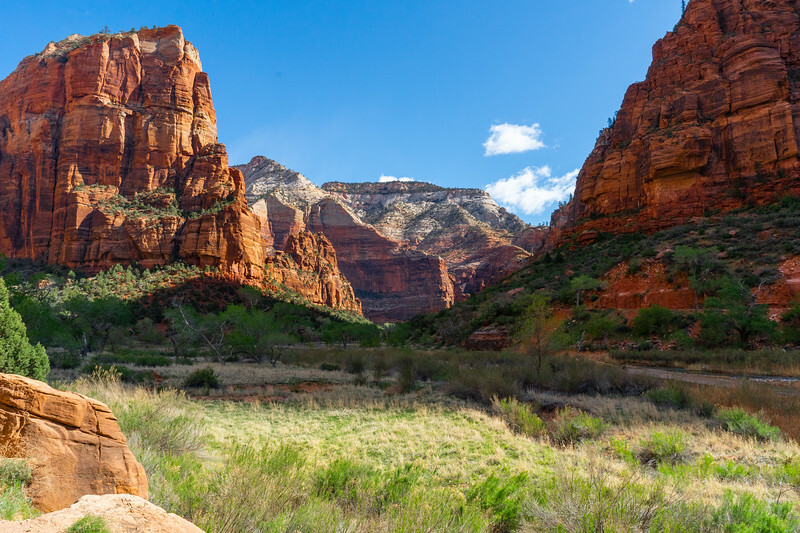 The Grotto trailhead can be found here on Google Maps which is where the Angels Landing Hike begins. 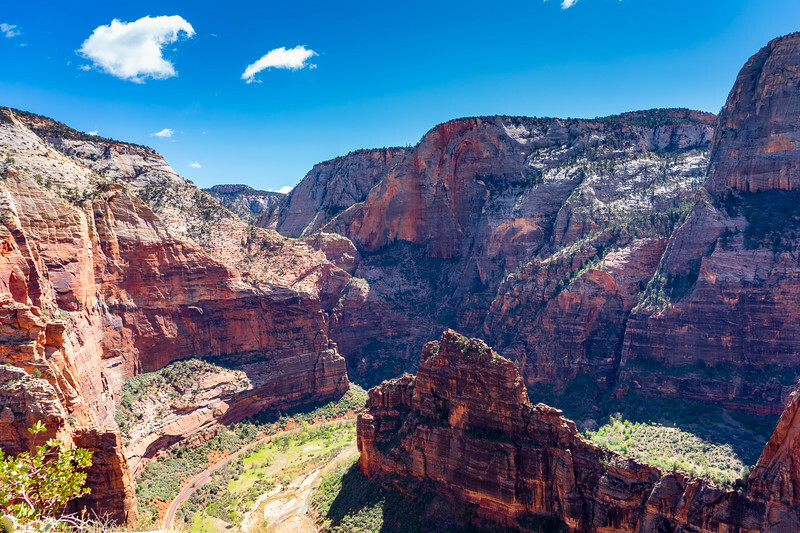 I have created a custom Angels Landing Hike Map on Caltopo for your planning needs. I did this hike mid-April 2018 on a Thursday. We beat some crowds going on a Thursday instead of the weekend but we did not wake up early and catch the first bus into the park either. There were already people coming down when we started and we did hit some snags where we had to wait a few minutes to continue, but the hike was absolutely amazing! When we got off the bus at the Grotto, stop number 6, the hike starts out pretty surprisingly easy. Being an avid hiker who loves hiking in the wilderness, I was very surprised by the paved path we were embarking on. The more we climbed up, I definitely started to get a little tired. 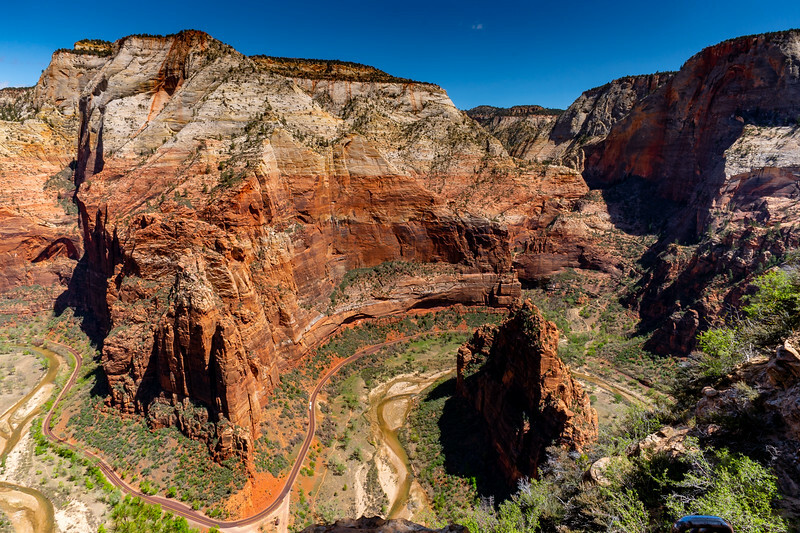 But there are plenty of great spots to stop, and pull over for a view of Zion's valley below! Once you get to Scouts Landing, it's a great place to take in the view and catch your breath. If you brought snacks or a lunch this is a great place to eat and hydrate. Once you are ready to climb the fun part, head to the first chains of the hike. If you are like me and are not a huge fan of heights you will probably be trying not to look down most of the hike. But do try your hardest to enjoy the views! I think I am able to push past my strong dislike for heights when I am more focused on the beauty that is surrounding me. 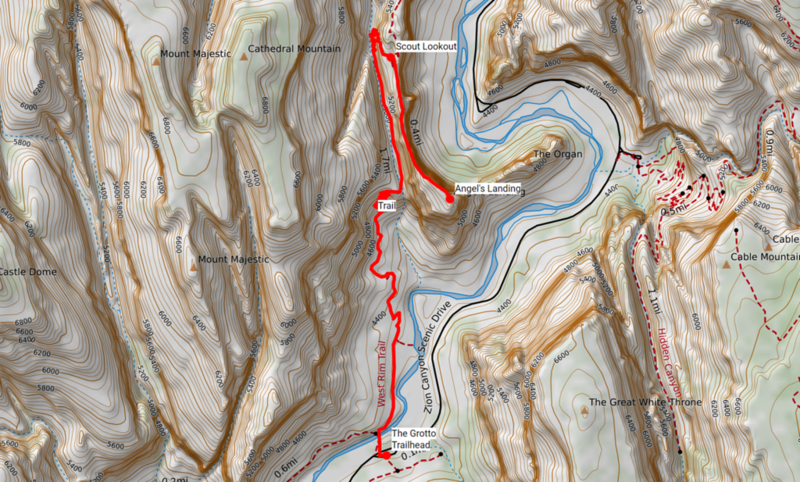 As you continue to hike you almost hit a false peak, or maybe the trail was just longer than I thought. 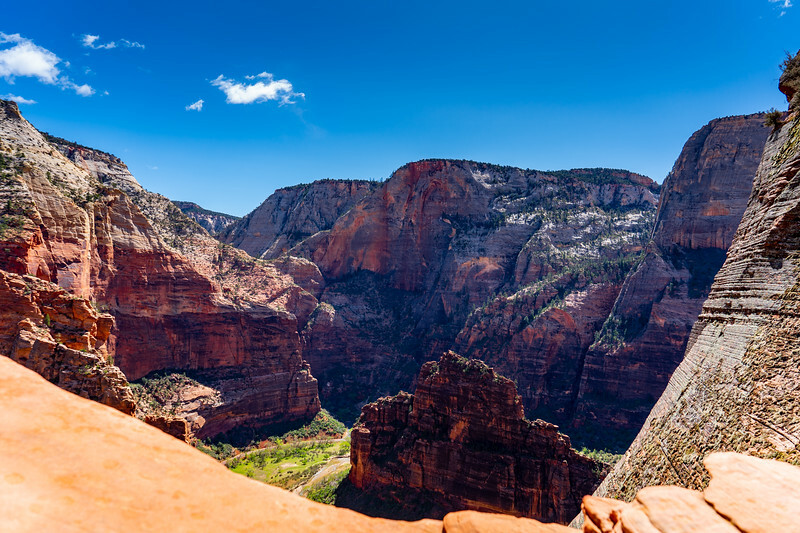 But as you hit this false peak you get a beautiful view of the trail ahead, which clearly shows the sheer drop-offs and cliffs on either side of you as you hike up. 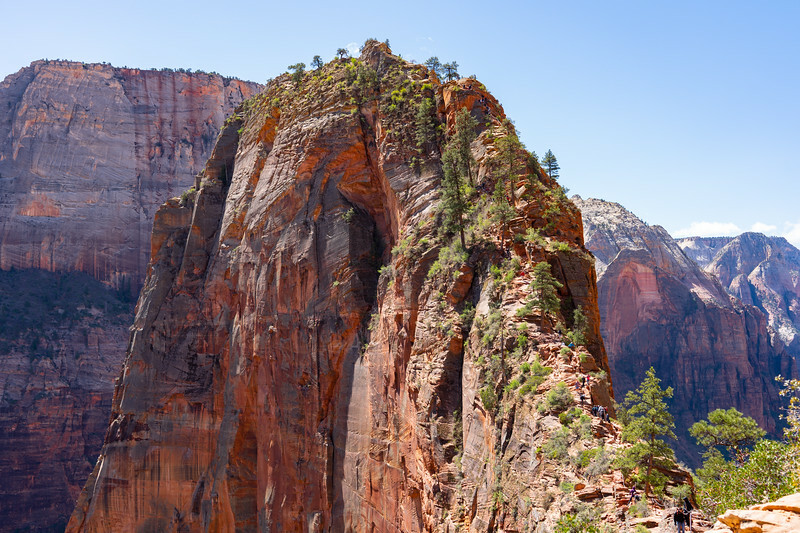 As you look closely you can seek the small dots of hikers going up and down this awesome piece of rock. As you get toward the top, it kind of plateaus off and is not to bad. The day we went just so happened to have 20 mph gusts of wind which made it a bit interesting. I may have been made fun of once or twice doing a little crouch walk to make myself less likely to be blown off....aparentley it wasn't necessary because everyone else was just casually walking. But hey, I still enjoyed the amazing views! 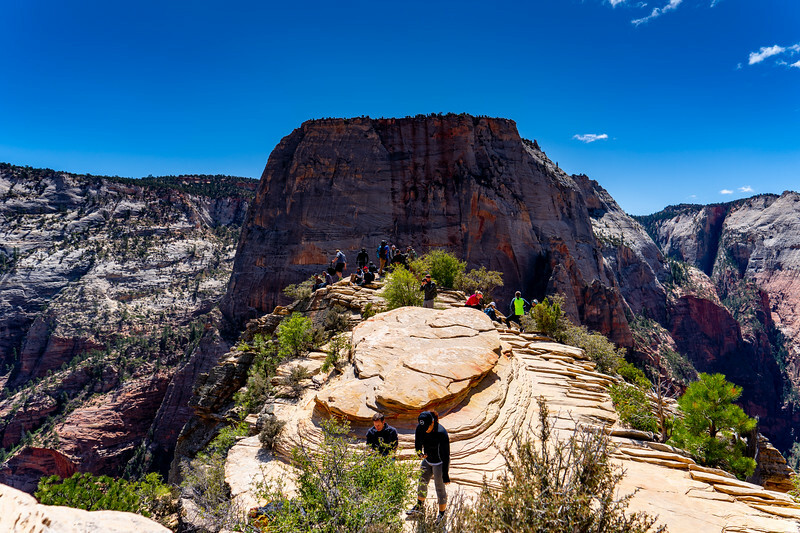 Once you walk to short plateau, you will finally have reached the summit of Angels Landing! We sat up there, ate some chocolate, drank some water and enjoyed the view. Then we got up and started to head back down. Now going back down, I was a little nervous at first because I had to be staring back down the entire time, and you couldn't avoid looking down the massive cliffs. In the end, going down actually seemed to be easier and much quicker. I was happy to be back at Scouts Landing in no time but I thoroughly did enjoy the hike and I can not wait to do it again! If I had to do anything different it would be to try and get there a little earlier to be more alone on the hike. I wanted to take so many more pictures, but didn't want to stop and hold up other hikers while I snapped them.